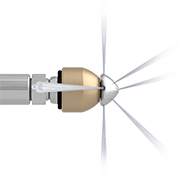 StoneAge manufactures high quality, long-lasting nozzles for all types of high pressure waterblast cleaning applications. 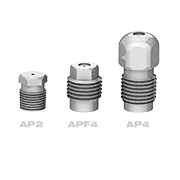 StoneAge Attack Tips are the highest quality, longest lasting nozzles available for low and medium pressure applications (up to 22k psi - 1500 bar). 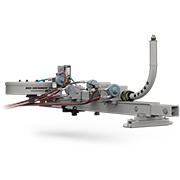 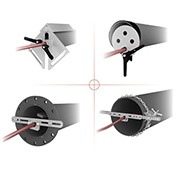 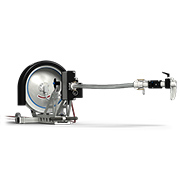 Flow straighteners correct turbulence, ensuring excellent jetting results. 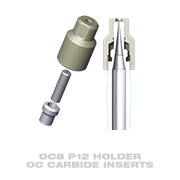 We recommend using carbide nozzle tips where filtration is poor, abrasive solids are present, or for very high flow. 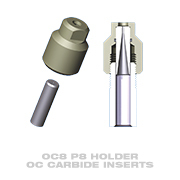 We recommend using our OC8 Holders and OC8 Carbide Inserts where filtration is poor, abrasive solids are present or for very high flow applications. 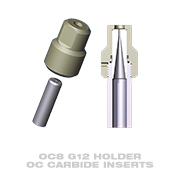 Replaceable carbide inserts are available in large orifice diameters to handle high flows and contain a long taper to provide excellent jet quality. 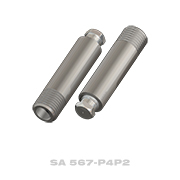 These nozzles are used for 40k psi (2800 bar) jetting applications where water filtration of 10 micron or better is required. 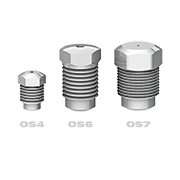 Jeweled orifices make the best quality, longest lasting jets possible for ultra-high pressures. 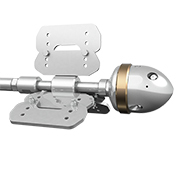 StoneAge manufactures high quality, long lasting nozzles for waterblast cleaning applications.